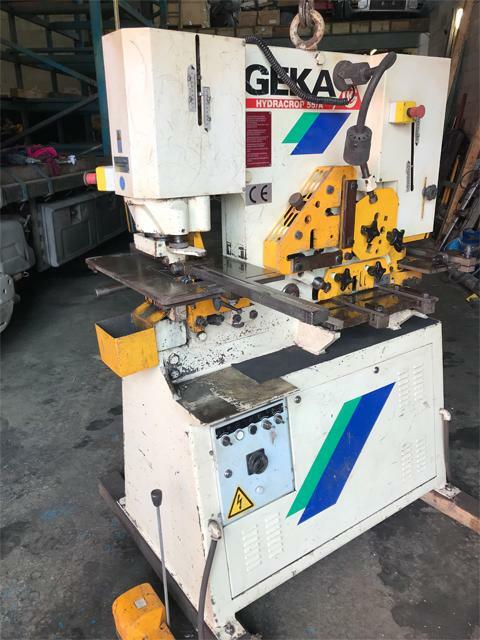 Press Cut Machinery stocks a vast range of steel workers, both new and used. Steel workers, which are also known as ironworkers, are used for notching and punching steel. Our Steel workers are available in a range of tonnage, from 60 ton for lighter fabrication tasks, up to the 175 ton model. The quick change tool holder means the machines tooling can be changed very quickly by simply lifting and rotating the holders lock mechanism through 90 degrees to release. Blades are available for cutting may different profiles, including UPN profiles. a variety of notch, bending, and bolster units are also supplied.